This year has been a wild ride. From starting the year out in Cape Town, South Africa to writing this blog from Viana do Castelo, Portugal… it feels like I haven’t stopped moving. It hasn’t all gone to plan. Being off the water for nearly 6 months meant a lot of canceled flights and kitesurfing events. I found myself sitting in Dubai lost, frustrated and wondering why I was there and where I was going next. When all your plans break down, it’s like standing in front of an empty whiteboard with a marker in your hand. And then Bowen Dwelle walked up and wrote Brazil on it. Some of life’s experiences are so challenging that surviving them spits you out the other side as the next evolution of yourself. Like Pokémon, but less cute. When the opportunity to go to Brazil to experience and film a downwind adventure with SurfinSemFim came up, I was stoked. And terrified. At that stage, I had no clue how to ride a directional board (think surf board for kiting). But I wasn’t going to let that stop me! Getting back into the groove at Windtown in Cumbuco, Brazil. Photo by Luke McGillewie. 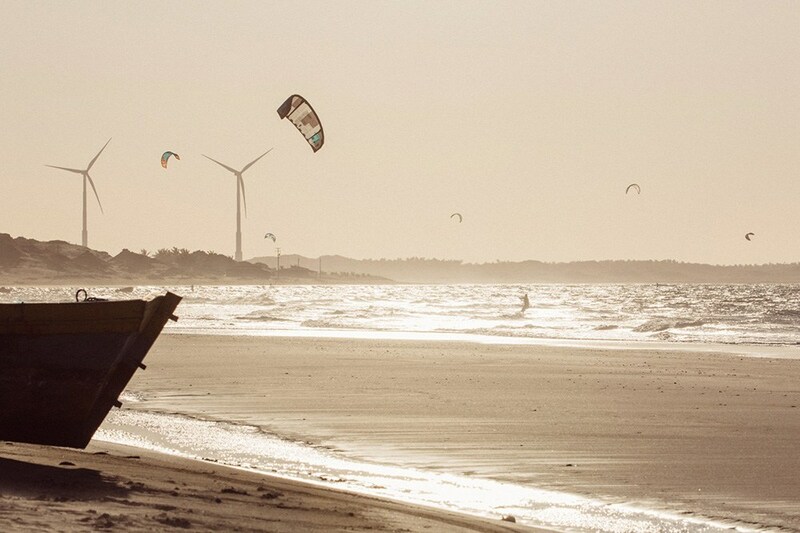 Brazil has been on my ‘To Kite‘ list since I discovered kiteboarding. And I got to experience it in the best way possible. 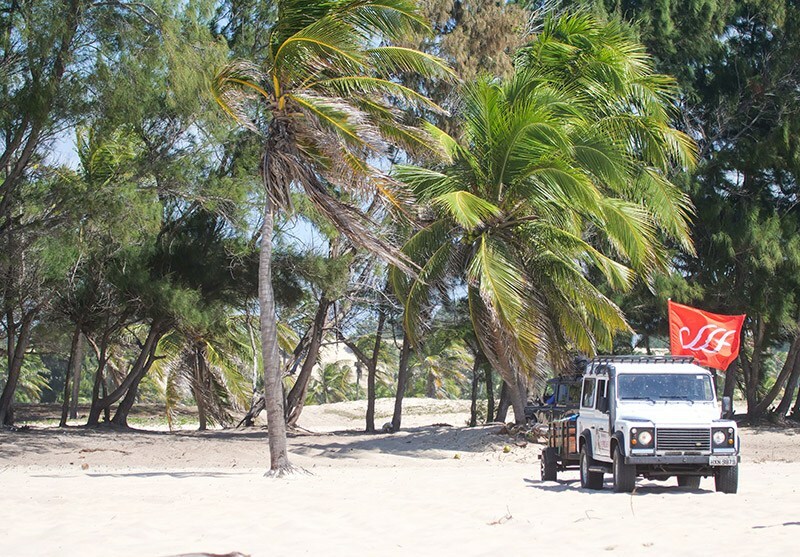 We traveled and kitesurfed along 200km of stunning, remote beaches in northeastern Brazil with the incredible guides and guests at SurfinSemFim. An epic support crew at SurfinSemFim. I honestly didn’t think I could do it. I haven’t been on the water for more than 20 minutes at a time since I broke my leg. I spent the month before Brazil going for teeny tiny kite sessions and slowly building up strength so I could go hit some waves. I never planned to ride the whole 200km. In fact, I didn’t think I’d be able to ride any of it. I would film from the beach and have a short session at each downwind destination. And that would have been amazing. But when you’re surrounded by a group of such passionate kiteboarders and spending your days with the inspiring guides and crew at SSF… it’s hard not to let the stoke take over! The crew from Brazil and Venezuela plus a Canadian and a South African! Photo by Analice Diniz. I am proud to say I kited 100km of Brazil’s coastline. It was challenging. I was exhausted. And I loved every minute of it. This is that experience I was talking about. Growth doesn’t come from going through life taking the easy road. Growth comes from putting yourself in front of a challenge and smacking it in the face! Wrapping it up at the downwind destination. Photo by Analice Diniz. Up until this point in 2018, I haven’t felt stronger or more capable. I am so fired up to continue pushing myself on the wave board… and in general! And I know without a doubt that this comes from being around the right people. So thank you. To Bowen for inspiring me to go on this trip. To Jalila and the SurfinSemFim team for taking such good care of us while we were there. And to Luke for the teamwork and support both on and off the water. Get ready, waves. I’m coming for you! 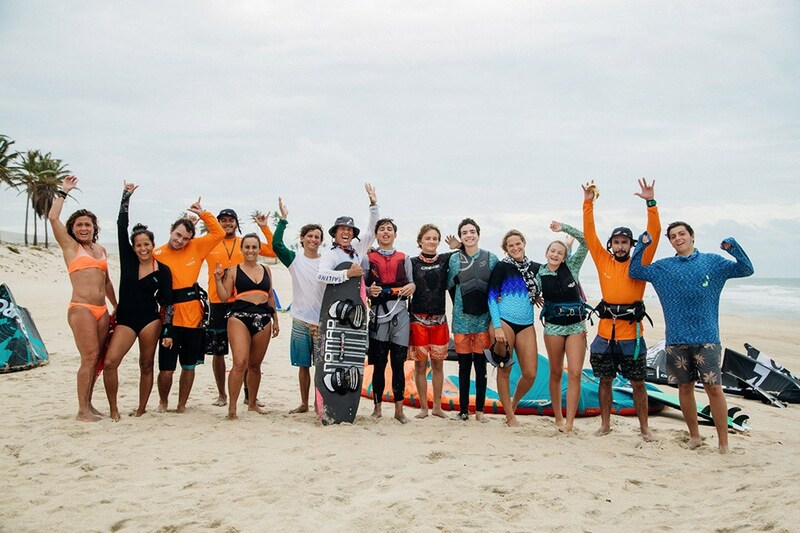 PreviousPrevious post:Two World Legends Together in Northeastern Brazil’s Kitesurfing “Mecca”!NextNext post:Surfin Sem Fim has a unique new program on the calendar, and we want you to be part of it! What does Surfin Sem Fim mean to the riders? 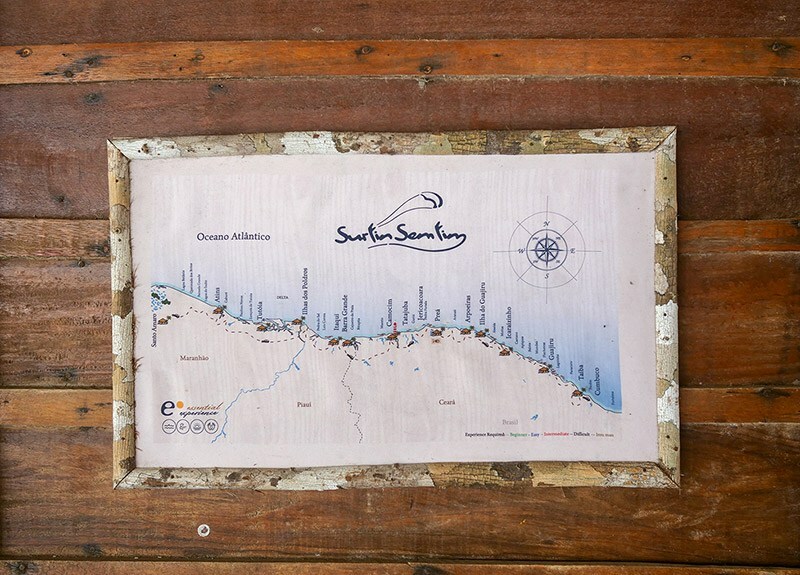 If you love to kite and want to expand your horizons as a kitesurfer and a traveler, I highly recommend trying long distance kitesurfing in Brazil with Surfin Sem Fim. Perfectly organized trip, with a highly experienced kitesurfer helping us riding and surfing on great locations. Chile offers us superb foods, beautiful views, perfect waves and a friendly people. Couldn’t ask any better. I was stoked when I got invited to participate in Surfin Sem Fim and the Iron Man events. I had never done anything like it. It´s really cool because in each part of the trip there are different conditions. So sometimes you are surfing perfect waves, sometimes the wind is very strong and you can jump really high. You see dunes, the houses, and the small boats. You travel the whole way surfing. Incredible people, their way of life, their expressions, the vibe. It is for you! It is an awesome experience. It doesn’t matter if you’re a girl or a guy, doing a Surfin Sem Fim is something epic that all kitesurfers should do at least once in ther life.